Scream with laughter at a super-spooky school! 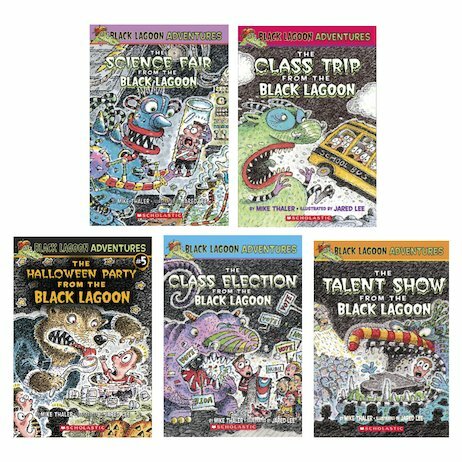 The school at the Black Lagoon isn’t like other schools. The kids might look sort-of normal – but the teachers are monsters! Sometimes that’s kind of exciting. Other times it’s a nightmare. Just think: danger and homework everywhere! Mrs Green, the teacher, doesn’t just look like a fire-breathing dragon – she is one. The class election isn’t so much about running for president as running for your life. And on the class field trip to the zoo, the weirdest critters are the ones looking into the cages!